Monarch Air Group provides private air charter in Newark, NJ. Our clients benefit from top-notch service, unrelenting dedication to safety, wide selection of aircraft, and years of experience in chartering private jets. To obtain a free quote, please use our online quoting tool provided below, or call toll free 1-877-281-3051. 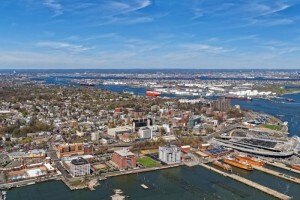 The largest city in the state of New Jersey, Newark, is situated on the west side of the Hudson River near the New York City. It’s often called as “Gateway to New Jersey”. Newark is the financial, commercial, transportation and cultural center that has rich culture, beautiful museums and galleries, historical places, festivals, many parks and entertainment centers. The popular city’s attractions are the Montclair Art Museum, the New Jersey Performing Arts Center, the Newark Museum, the Thomas Edison National Historical Park, the Branch Brook Park, the Ballantine House, the Weequahic Golf Course, and much more. Newark has various international cuisine including Spanish and Portuguese in the Ironbound district, Brazilian, Italian and Afro-American in the Iberian Peninsula. 7. DPK, Deer Park, Deer Park, United States. 8. DXR, Danbury Municipal Airport, Danbury, CT, United States. 9. DYL, Doylestown, Doylestown, United States. 10. ESP, Birchwood-Pocono, East Stroudsburg, United States. 13. FRG, Republic Field, Farmingdale, United States. 14. HPN, Westchester County Apt, White Plains, United States. 15. ISP, Long Island Mac Arthur, Islip, NY, United States. 16. JFK, John F Kennedy Intl, New York, United States. 17. JHC, Island Heliport, Garden City, United States. 18. JRA, West 30th St Heliport, New York, United States. 19. JRB, Downtown Manhattan H/p, New York, NY, United States. 20. JRE, East 60th Street H/P, New York, United States. 1. Comfort Suites, 1348 McCarter Highway, Newark. 2. Best Western Robert Treat Hotel, 50 Park Place, Newark. 3. Comfort Suites, 1348 McCarter Highway, Newark. 4. Best Western Robert Treat Hotel, 50 Park Place, Newark. 5. Comfort Suites, 1348 McCarter Highway, Newark. 6. Wyndham Garden Hotel, 101 International Way, Newark. 7. Days Inn, 450 U.S. Highway 1 and 9 South, Newark. 8. Fairfield Inn & Suites Newark Liberty International Airport, 618 Routes 1 and 9 South, Newark (NJ). 9. Wyndham Garden Hotel Newark Airport, 550 U.S. 1, Newark. 10. Best Western Robert Treat Hotel, 50 Park Place, Newark.